Tame Impala blew me away when I heard the "Innerspeaker" album. I don't even know how to describe it anymore. Is it psych-rock? Prog-rock? Dub-rock-wave (I don't even know what that is)?! AHHH! All I know is whatever this sound is that they create, I'm all over it. 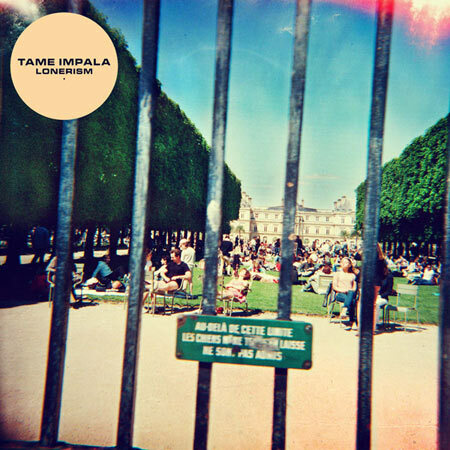 So when their newest album, "Lonerism," came out, I knew it was going to be good. No worries of them falling off, whatsoever. And I was right. So yesterday on the bus I'm listening to music on my phone, and I heard "Be Above It," the opening track to Tame Impala's "Lonerism," and I started thinking about the importance of the opening track of any album. Pink Floyd's "Dark Side of The Moon," Nas's "Illmatic," ATCQ's "Low End Theory," Michael Jackson's "Thriller," Miles Davis's "Kind of Blue." You can pretty much go to any classic album and find that the opening track was as equally important as the album as a whole. "Lonerism" is no exception. Check out the opening track, and become a fan. This is still a band who i have not seen perform live, and I regret missing every one of their Los Angeles appearances.